At last some manufacturer have the guts to offer this huge glider (About 2.5 feet long!) with british paratroopers. Yes, Smell like Market Garden Diorama to me! 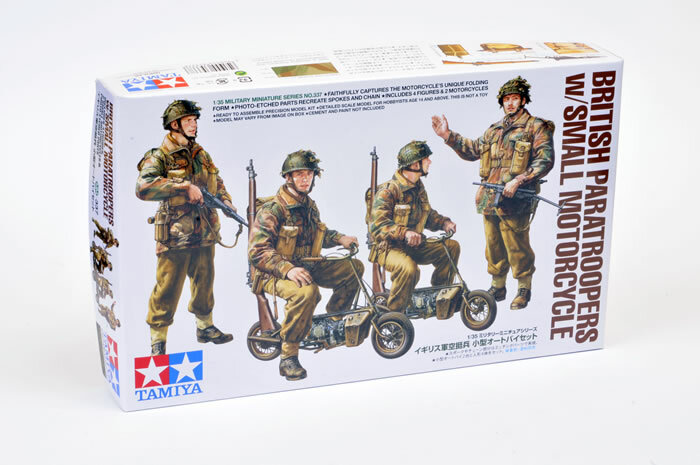 Tamiya brought to us this time a unusual item, the Welbike, used by paratroopers during WWII, here I share the review of Bett Green. "The diminutive Welbike was a motor scooter developed by the Excelsior Motor Company in response to a 1943 requirement for a vehicle that could be dropped by parachute. At this time there were no British aircraft capable of carrying a jeep or other motorised transport. The Welbike weighed just 75 lbs and could be folded to fit inside a compact drop container, but it was uncomfortable to ride and it could only carry a single Paratrooper. Despite its limitations, the Welbike was used during the D-Day invasion and Operation Market Garden. Its two-stroke, two cylinder 98cc engine delivered a range of 90 miles. Beats walking in full battle gear I suppose!" The Welbikes and figures are presented on two identical sprues, each complete with parts for a scooter plus the figure parts. The bikes may be built deployed or folded. 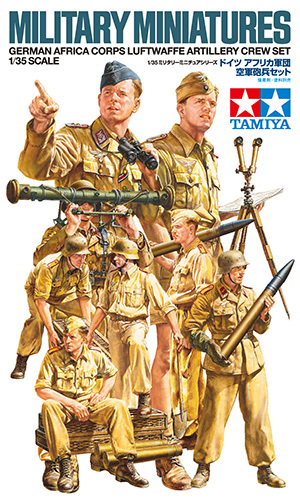 Tamiya offers optional heads and arms so that the figures will look suitably different from each other despite being sourced from two basic sets of parts. The photo-etched fret provides finely detailed spokes for the wheels and drive chains. 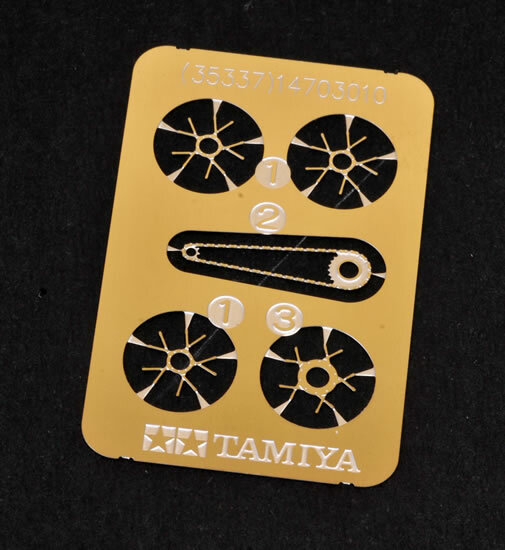 I believe that this is the first time Tamiya has included fine photo-etched detail with a military bike or motorcycle kit, and it is a very welcome development. In 1:35 and smaller, photo-etch is really the only way to accurately depict spokes in scale. A four-piece plastic jig is provided to press the spokes to the correct shape. The bikes are made up from eleven plastic pieces each, plus six photo-etched parts. The figures are nicely detailed. Arms, legs, torsos, heads and helmets are all separate. The para helmets do not have camouflage netting. Two of the figures are seated on the bikes and two are standing. All are in casual poses. Two additional small sprues provide generic British weapons, tools and personal stowage. These include .303 rifles, Bren guns, Sten guns, holstered sidearms, picks, shovels, helmets and more. This kit is due to July so start looking at you hobby shop or ebay! SOGA MINIATURES Release a unique german crew for the dragon kit #6739 "Sd.Kfz.10/4 fur 2cm FlaK 30". Soga - 3 - Crew for Sd.Kfz.10/4 fur 2cm FlaK 30. Here some pictures so you can see the high quality of the figures. SOGA MINIATURES. 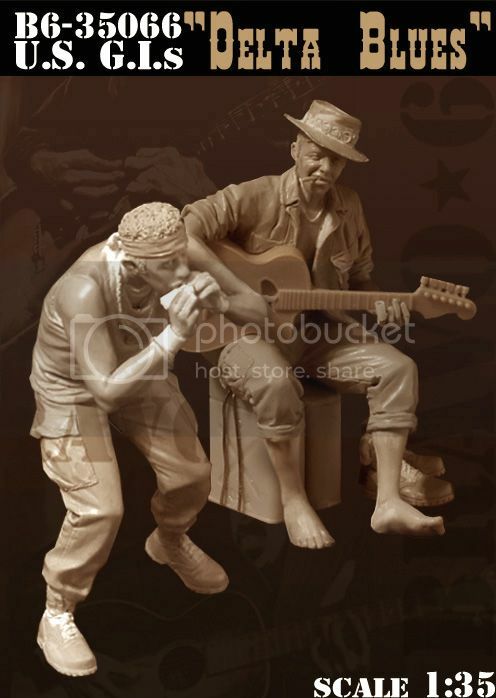 $ 85.00 the 6 figures crew, its just $14 for each figure. 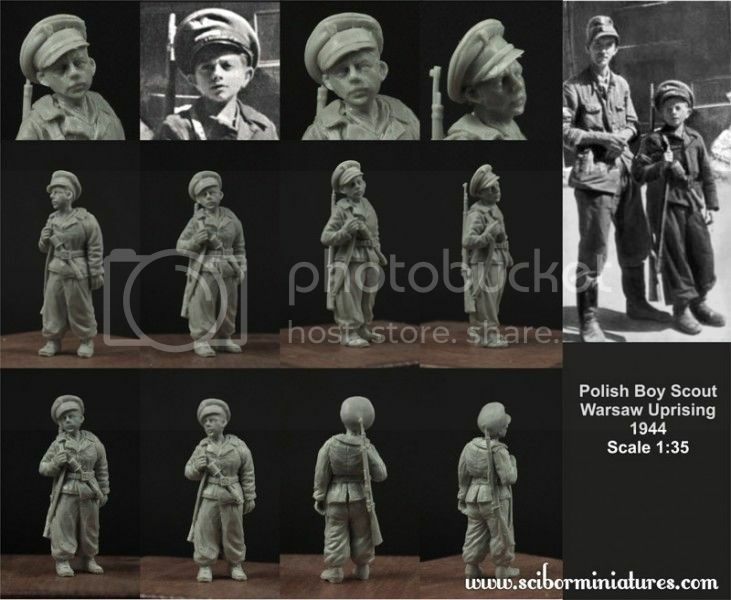 Scibor's Miniatures new release another 1/35 scale rendition of Polish boy scout from WW2. The figure depicts Polish Boy Scout from the Warsaw Uprising, 1944. The figure is cast in high quality resin. It is unpainted and requires assembly. 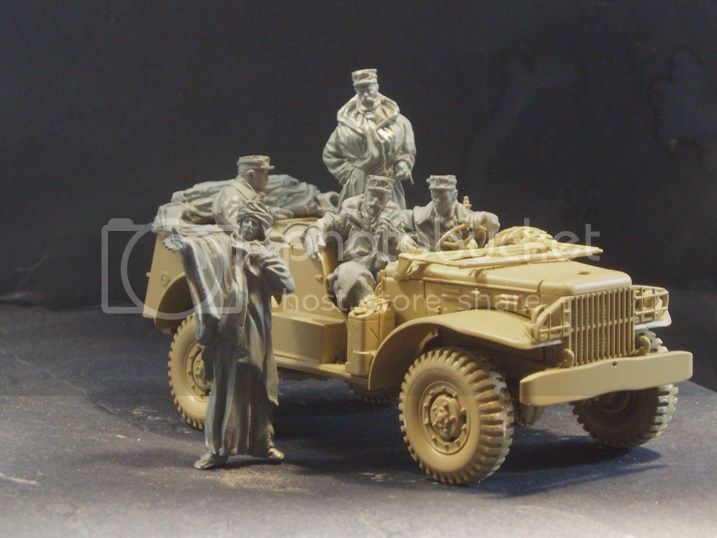 AC Models new release : French Foreign Legion vehicle crew. 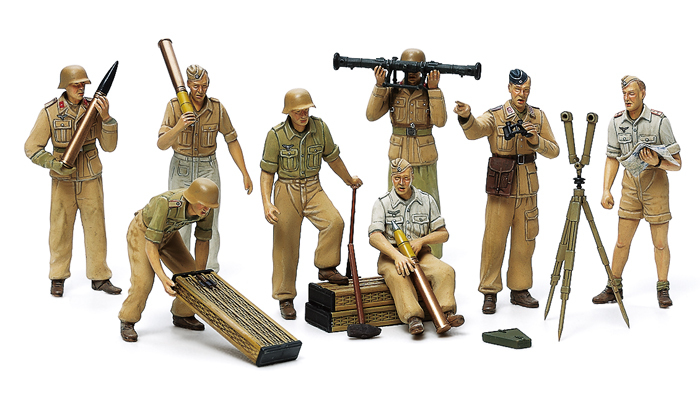 The figures are sculpted in 1/35 scale by Andy Cairns, the owner of AC Models. Designed for AFV Command Car WC 56/57, the kit contains 5 figures (4 crewmembers and a local man), and a folded tilt for the back of the vehicle. The set is cast in resin. This scintillating new line from Dragon features movie blockbuster characters in 1/9 scale. Each stunning character is faithfully reproduced in model kit form, allowing collectors to assemble their figures individually. Each of the world-famous characters in the series is the end product of exhaustive CAD design, and the heroes are made with an eye to perfect accuracy and authenticity. 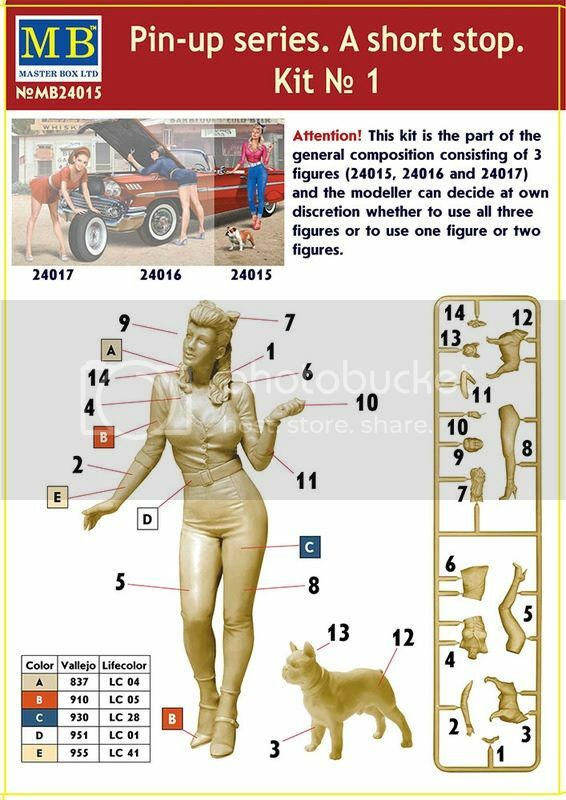 Furthermore, the model figures are separated into as few parts as possible to ensure they're extremely easy to assemble. Indeed, within about an hour – or at the most an evening – collectors can complete assembly of their action hero in a suitably dramatic pose. This is faithfully reproduced in model kit form, allowing collectors to assemble their figures individually. This is the end product of exhaustive CAD design, and the heroes are made with an eye to perfect accuracy and authenticity. 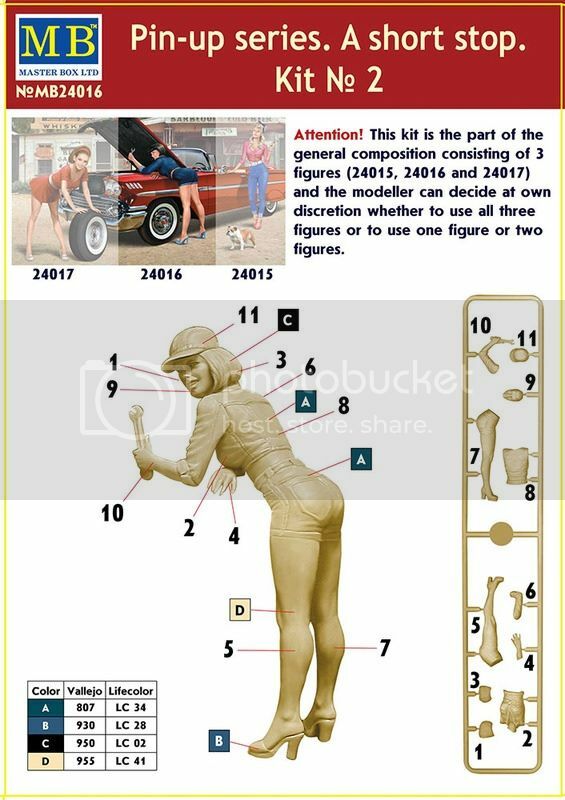 The model figures are separated into as few parts as possible to ensure they're extremely easy to assemble.